The Whitetail Buck Relief Carved Wood Cremation Urn is made of solid red oak and red alder with a clear finish that brings out the natural beauty of the wood. 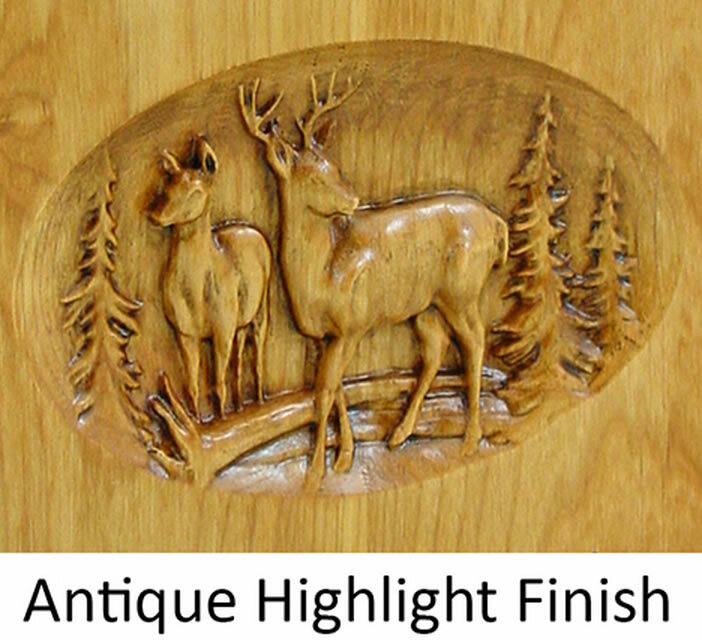 The whitetail buck scene is relief carved into the wood making the image three-dimensional. You have the option of having the relief carved image in a natural finish or in an antique highlight finish (see small photo of an example of antique highlight finish). 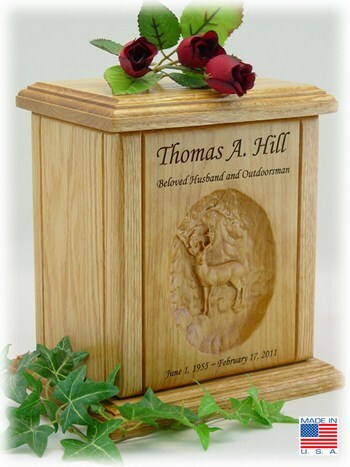 The urn can be personalized with the name, dates, and a loving remark such as Loving Father and Husband. This is a quality product created by skilled craftsmen. Please allow 5-7 business days after engraving proof has been approved prior to shipping. Rush orders are available but still require at least 4 business days after the engraving proof has been approved prior to shipping.